Why look for us when you shop? 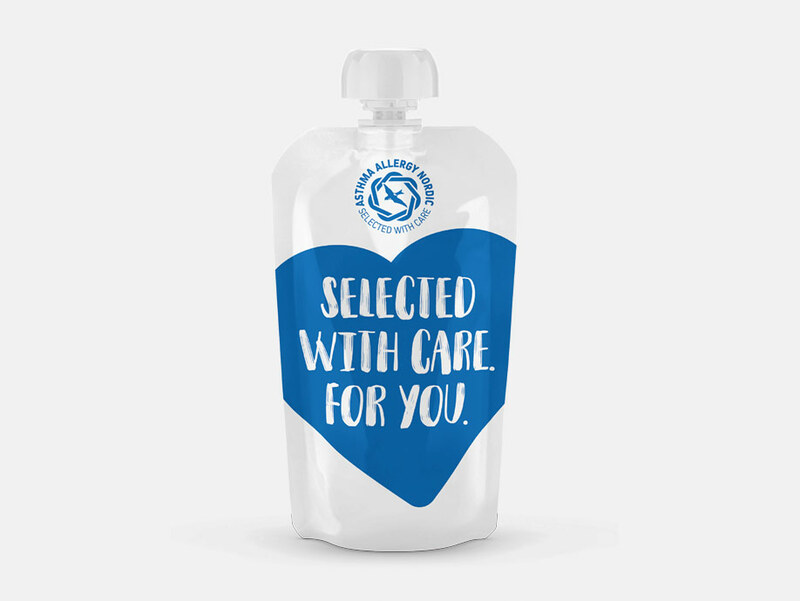 When you see our logo on a product you can be sure that the product contains no perfume and that we have done a critical assessment of the recipe. 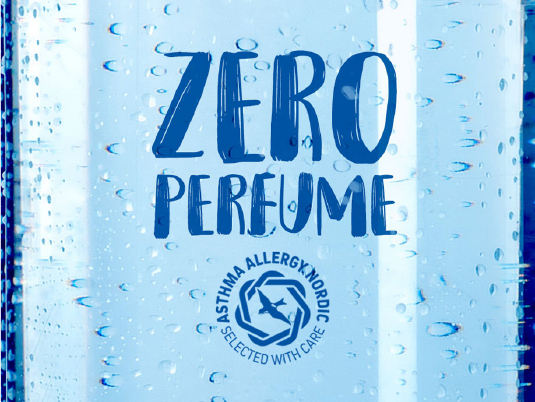 Products with the Asthma Allergy Nordic logo are considered beneficial for those who suffer from asthma, allergy or other sensitivity – and for everyone else who wants to avoid perfumes and allergens. Please note that the Asthma Allergy Nordic label is a recommendation only. An absolute guarantee that no one will ever experience a reaction of some sort from a product carrying our logo is obviously impossible. Both in the Nordic region, and in the rest of the world, the number of people diagnosed with asthma or allergies, is increasing. This has led to a significant interest in the Nordic labels from international markets, far beyond Europe. With the merger, three acknowledged labels consolidate into one. The new – united – label will be a strong brand, both in the Nordic countries and on the global market. Asthma Allergy Nordic will still be characterised by values such as credibility, professional integrity and cautiousness. Our vision is to help those who are affected by, or concerned with asthma and allergies, to live a better life. We represent real people, not commercial interests. To receive the right to use the Asthma Allergy Nordic label and its corresponding product recommendation, a product must be relevant for our target groups. Before it can be given the right to use our logo, it must therefore go through a thorough assessment. The applicant must share complete recipes, including details of all raw materials, and results of any relevant product tests, etc. In case of a positive assessment, a written agreement must be entered with the organisation before any use of the logo. The Norweigian asthma- and allergy association, NAAF, began operation in january 1960. In the early 1990s they started to examine and recommend products that are good for people with asthma and allergy. Since the beginning the NAAF have worked to slow the increasing spread of asthma, allergy and hypersensitivity diseases, and to help those with a diagnosis to a better life. Our organisation runs the Norwegian pollen forecast and we own Geilomo hospital for children. The first asthma and allergy association in Sweden was founded in 1956. Since 1975 product examination has been part of the work. During the years it has developed and in 1996 an examination council started. Today Astma- och Allergiförbundet work with information, formation of opinion, supporting science and help those with asthma or allergy to a better and healthier life. The Danish asthma and allergy association was founded in 1971. The association has worked with products for allergic people since the midst of the 1970s. The allergy label The Blue Label (Den Blå Krans) was established in the late 1980s and is a help for people with skin allergy and people who wants to be careful regarding skin allergy. Astma- Allergi Denmark represents more than 1.5 million Danes and their families. The aim of our association is to help people with asthma, allergy, hay fever and eczema to have a better every day life. We also run the Danish pollen forecast.